Here is Some Information about Kalighat Temple in Kolkata West Bengal India. 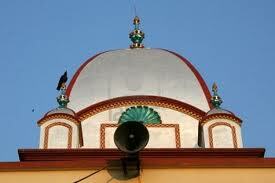 Bhog Rag: 2.30 P.M. to 3.30 P.M. 2. 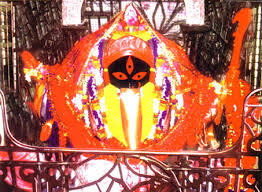 Sandhya Aarti: 6.30 P.M. to 7.00 P.M.
Kalighat Kali temple is a very famous temple of the city of joy Kolkata.The temple ic located On the banks of Adi Ganga in Kalighat, Kolkata. It is dedicated to Goddess kali, who is believed to be the destroyer as well as liberator. Every year, it has been attracting more and more crowds. 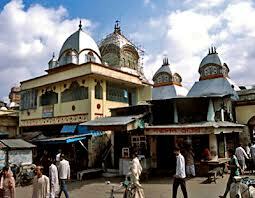 Infact, Calcutta Kalighat Kali temple has come in the top list of must see tourist attraction places. 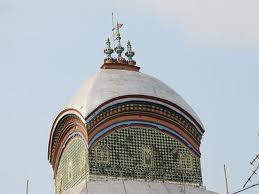 For Hindus, Kali temple at Kalighat, Kolkata is one of the most sacred pilgrimage destinations. 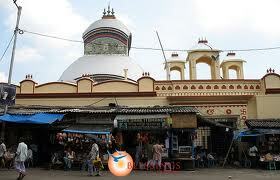 In the southern part of Kolkata, Kalighat is a small locality that is well-known for its Kali temple. 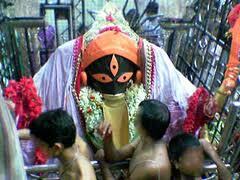 Kalighat Kali Temple is considered as one of the 51 Shakti Peethas of Shakti. 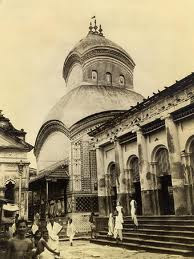 The Kalighat temple in its present form is only about 200 years old, although it has been referred to in Mansar Bhasan composed in the 15th century, and in Kavi Kankan Chandi of the 17th century. 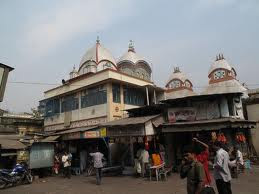 The original temple was a small hut. A small temple was constructed by King Manasingha in the early Sixteenth century. 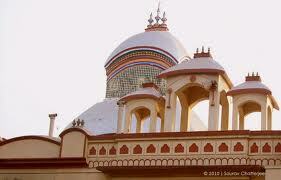 The present temple was erected under the patronage of the Sabarna Roy Chowdhury family of Banisha. It was completed in 1809. In the nineteen sixties a committee was formed for the administrative management of the temple with representation from the Government and the Haldar family. By Air : Kolkata is well connected by air to all major countries in the world, as well as to Indian cities. The air carriers that have flights to and from the city include Aeroflot, Air France, Air India, Biman Bangladesh, British Airways, Cathay Pacific, Gulf Air, Indian Airlines, Japan Airlines, Jet Airways, KLM-Royal Dutch Airlines, Royal Jordanian Airlines, Royal Nepal Airlines, Singapore Airlines and Thai Airways International. By Rail : Trains are available from all parts of the country to Calcutta. Most inward bound trains stop at Howrah, which is also the station from which major trains to other cities depart. Most trains heading to areas such as New Jalpaiguri and other provinces in the north-east stop at the other station, Sealdah. Local trains to nearby towns are available from both stations, depending on which part of West Bengal you want to go to. Since Howrah and Sealdah are not exactly a hop, skip and jump away from each other, do remember to check which station you need you board your train from, when you buy your ticket! By Road - A few buses ply from Orissa and Bihar to Calcutta. However, these are highly uncomfortable and best avoided. Buses are also available to nearby towns, especially if you wish to visit Siliguri and New Jalpaiguri on your trip to Calcutta. Depending on which direction you're heading in, buses could depart from the end of the Maidan near Chowringhee Road, or the bus stand at Babu Ghat near Fort William. A few tour operators have their own private bus stands, so do make inquiries. NICE BLOG!!! Thanks for your valuable information, It would be really helpful about ecommerce information Am working in Tourism portal.